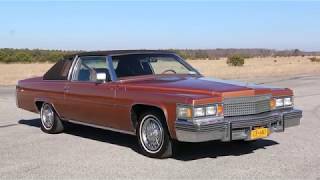 Hi, I am interested in your 1979 Cadillac De Ville (stock #MIKE95472) listed on Autotrader for $15,995. I'd like to get more information about this vehicle and confirm its availability. Same as the Caddie that was in the Goodfellas! The RARE Phaeton package featured a simulated convertible-top, special pin striping, wire wheel discs, and Phaeton name plates in place of the usual Coupe de Ville ornament on the rear fenders. Inside were leather upholstered seats and a leather- trimmed steering wheel matching the exterior color. Runs and Drives Fantastic, No Disappointments!